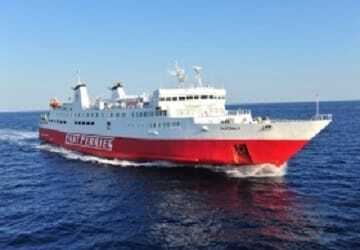 The Rafina Tinos ferry route connects Athens with Cyclades Islands and is currently operated by 3 ferry companies. Cyclades Fast Ferries operate their crossing up to 3 times per day, Sea Jets 4 times per day & the Golden Star Ferries service is available up to 3 times per day. 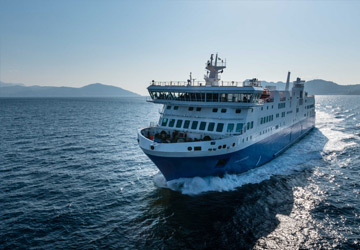 There are a combined 10 sailings available per day on the Rafina Tinos crossing between Athens and Cyclades Islands and with 3 ferry companies on offer it is advisable to compare all to make sure you get the best fare at the time that you want to travel. Prices shown represent the average one way price paid by our customers. The most common booking on the Rafina Tinos route is a car and 2 passengers. May I suggest that the escalator be cordoned off during arrival at port so that passengers will not be enticed to stand on it, using it as stairs. Then it can be turned on so that those with luggage and the elderly can actually make use of it to go down. It would be nice also if monitors went around ore frequently to make sure passengers are not lying across 3-4 chairs - depriving others of a chance to sit at the tables and take their snacks or meals. Otherwise the trip was very good. Efkaristo ploy! "Ferry Raffina to Tinos and back with "Theologos P""
Wonderful trip from Athens to Tinos, service was excellent and the ride went smoothly. The crossing went very well. The ferry is confortable and the staff is welcoming. The only problem is the organisation of the luggages. The area where you store them is too small. Moreover, we need to put them on shelves, which is difficult when they are heavy. The passengers are not always courtous and push each other. Excellent way to travel to Tinos. We arrived 15 minutes before the departure of the boat, because our flight was late. 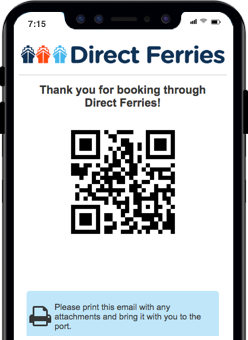 However, we were able to board without any problem thanks to our electronic tickets and to our driver's skills. The timekeeping was good and the reception on board was 'soft'. The Greek town of Rafina lies on the east coast of the Attica region of Greece. The town, and its port, is on the Aegean Sea coast, to the east of the Penteli Mountains and to the north east of the Mesogaia Plain. The Greek capital, Athens, is 25 km to the west of Rafina which is close to the towns of Artemida and Nea Makri. It is a popular destination for Athenians, due to its proximity to Athens, who drive out of the city to Rafina to eat in one of the town's many fish restaurants that line the harbour. It is common to see the day's catch on display on beds of ice outside each restaurant. Rafina's port is the second largest in the Attica region, after Piraeus, although this is likely to change by the port at Lavrio which is currently being expanded. ferries from Rafina's port depart to the southern part of Euboea and to most of the Cyclades Islands. 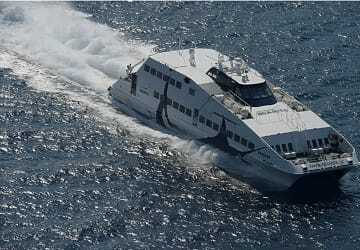 Both conventional and high speed ferries operate to the islands with most departing Rafina in the morning. The Greek island of Tinos is located in the north of the Cyclades group of islands and lies in the Aegean Sea. It is a perfect island destination for a relaxing family vacation where its beaches are sandy, with calm waters, and are surrounded by a good selection of tourist facilities and accommodation. The island's most traditional villages are located inland and are famous for their picturesque architecture and charm. The island's most characteristic village, with its long tradition of marble carving, is the village of Pyrgos. Tinos has a special place in the hearts of Greeks as it is the home of the Church of Panagia, which is considered to be the protector of the country, and contains a miraculous icon inside. The church receives thousands of pilgrims all year round, particularly on the 15th of August.